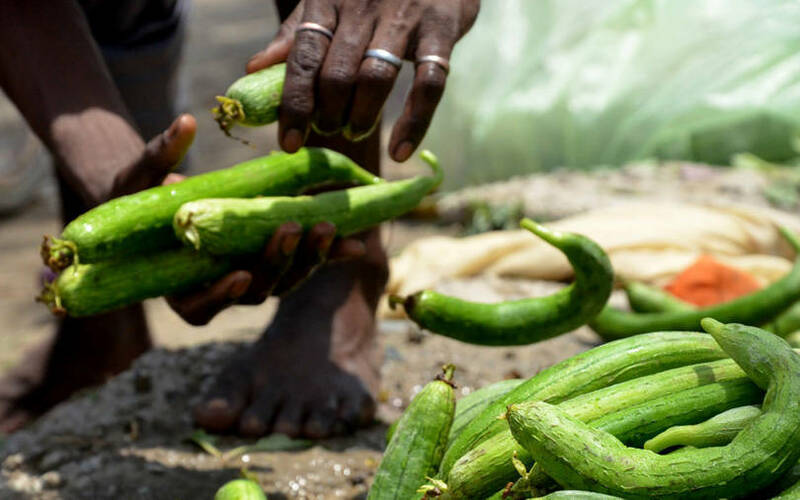 Gurugram-based online marketplace for farm products and services DeHaat has raised $4 million (Rs 27.5 crore as per current exchange rates) in pre-Series A funding round from impact investor Omnivore and US-based agri-tech-focused investor AgFunder, a company statement said. Pankaj Chaddah, co-founder of online delivery and restaurant listings firm Zomato, and undisclosed family office also put in money, the statement added. This is AgFunder’s, which has previously backed agri-tech startups in the USA, Canada, Europe and Australia, first investment in India. The company will use the capital to expand its network of farmers in Bihar, Uttar Pradesh and Odisha and to launch farm credit and crop insurance services in the coming year, said the statement. With the current round of funding, DeHaat is targeting growth of 3-4X over the next 18-24 months, it said. Investment bank Dexter Capital was the adviser for DeHaat in this funding round. Owned by Green AgRevolution Pvt. Ltd, DeHaat technology-based platform offers end-to-end agricultural services to farmers, including distribution of high-quality agri inputs, customised farm advisory services, access to financial services and market linkages for farmers to sell their produce. DeHaat claims to bring transparency and efficiency across the agricultural value chain for business-to-farmer partners, including agri-input companies, financial institutions and commodity bulk buyers. The company was founded in 2012 by Shashank Kumar, Shyam Sundar Singh and Amrendra Singh, who are alumni of IIT- Delhi, IIM Ahmedabad and NIT Jamshedpur, respectively. It currently supports over 55,000 farmers across Bihar, UP and Odisha, the statement said. “We have built a scalable business model and data-driven technology platform to enable large stakeholders (including agri input companies, financial institutions and commodity bulk buyers) to transact with our farmers efficiently. Our goal is to reach 1 million happy farmers on the platform in the near future,” said Kumar in the statement. The company had earlier secured angel investment from the founders of Mouthshut.com and IIM Calcutta Innovation Park (IIMCIP). DeHaat expects to hit Rs 45 crore revenue in 2018-19, up from Rs 21 crore in 2017-18, with positive earnings before interest, tax, depreciation and amortization (EBITDA). Founded in 2010 by Mark Kahn and Jinesh Shah, the impact investor backs Indian startups developing and using technology in the food, agriculture and rural sectors. In February 2018, marked the first close of its second venture capital fund— Omnivore Partners India Fund II—at $46 million (Rs 296 crore). It received commitment from foreign and domestic investors for the second fund. For its first fund, it raised $40 million from Indian investors in 2012 and 2013. It has invested in Chandigarh-based agri-analytics startup AgNext and milk delivery startup Doodhwala from its second fund. Some of its investments from the first fund include processed food firm Arohan Foods, on-farm diagnostic equipment maker Eruvaka Technologies and IT services startup Retigence Technologies. It has partially exited weather forecaster Skymet. The investment platform was founded in 2014 by Rob Leclerc and Michael Deal, both of whom are entrepreneurs and experts in the agriculture sector. It operates a co-investment technology marketplace bringing together investors focused on agri-tech. The investors can back agri-tech ventures via the firm’s co-investment funds or in individual deals, information on the company’s website states. It also allows institutional investors to make direct investments on its platform. The company claims to have over 50,000 members and subscribers. DeHaat joins a number of agri-tech startups that have raised funding in the past few months. Last month, Pune-based AgroStar, which operates direct-to-farmer mobile-based retail platform, raised $27 million (Rs 187 crore) in its Series C funding round led by Bertelsmann India Investments. Around the same time, Bengaluru-based agri-tech platform TartanSense raised $2 million (Rs 15 crore at current exchange rate) in a seed funding round led by venture capital firms Omnivore, Blume Ventures and BEENEXT. In the same month, Aibono Smart Farming Pvt. Ltd, which offers an artificial intelligence-powered fresh food aggregation platform, secured $2.5 million (Rs 17.5 crore) in a pre-Series A funding round led by social-impact investor Menterra Venture Advisors. Earlier in the month, agri-tech startup LeanAgri raised seed capital led by venture capital firm India Quotient with participation from angel investors. In January this year, Punjab-based agri-analytics startup AgNext Technologies Pvt. Ltd raised capital from early-stage venture capital firm Kalaari Capital.